Well, Sunday’s the day. After 4 months of training, the much anticipated day is right around the corner. Fox Cities Marathon, here I come. Let me try that again. 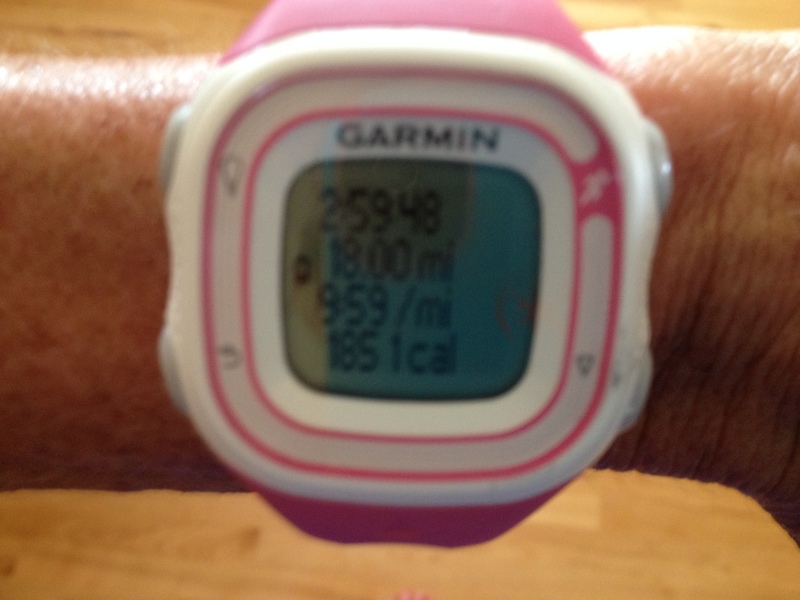 Fox Cities Marathon, here I come! 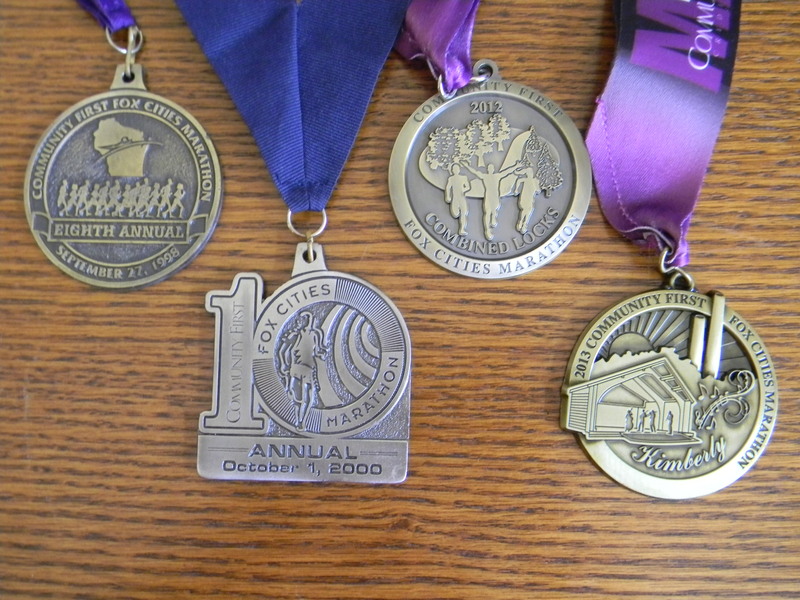 Or how about FOX CITIES MARATHON, HERE I COME! I’ve spent the last week making sure I am well hydrated. And this my friends, is not only a challenge, but a bit risky as well. My classroom is nowhere near a bathroom, and two minutes passing time does not allow for frequent potty breaks. Despite this logistical issue, I’ve been drinking water and tea nonstop. I am eating intelligently. I typically tend to focus on fruits, veggies, legumes, nuts and seeds (and ANY kind of nut butter), but this past week I have upped my consumption of grains. In addition to my mandatory bowl of chia oatmeal (I feel I may have a small addiction problem here), I’ve been making sure that lunch or dinner also includes quinoa, amaranth, millet, or sprouted grain wraps or buns. Carbo loading? Yeah. Guilty. 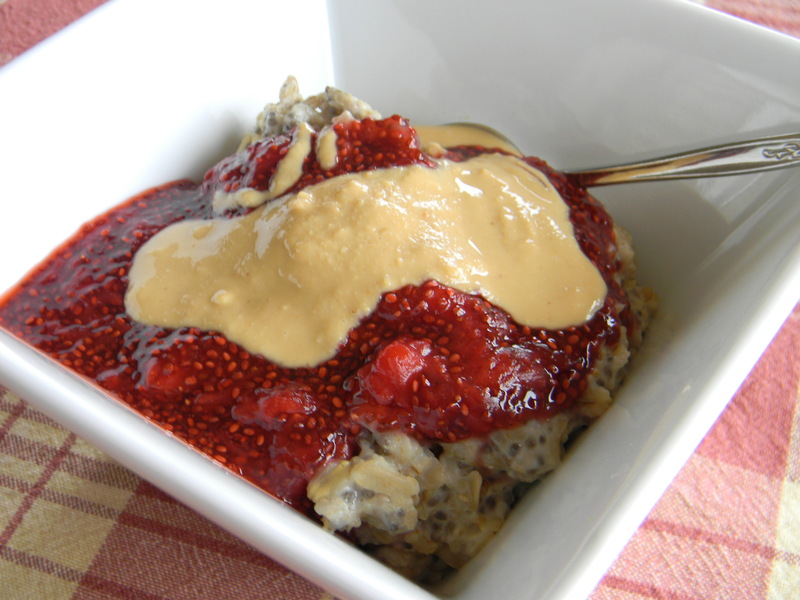 That’s chia oatmeal hiding under chia jam and homemade PB! 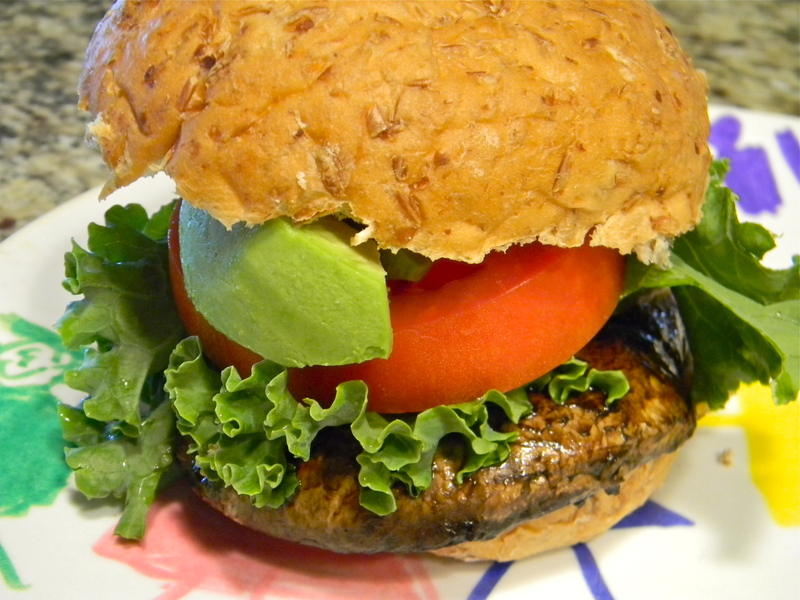 A sprouted grain bun surrounding a marinated portobella “burger”. I understand the importance of fueling my body during a long run. The discovery of Brendan Brazier’s Direct Fuel Bites and Energy Pudding, has been nothing less than incredible. I use to run on empty! I’ve also traded water in for coconut water during my long runs. I prefer not to utilize sport’s drinks due to the artificial coloring and flavors. Energy Pudding BEFORE I run! Energy Bites! Magical, simply magical! 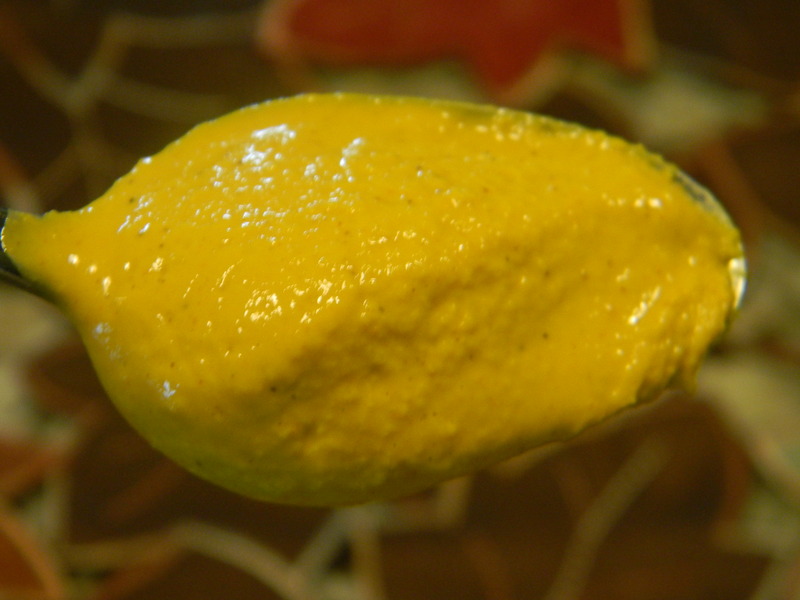 I’ve focused on anti-inflammatory spices like cinnamon, turmeric, basic, garlic and ginger. (Not straight up, mind you…in delicious recipes.) I am not at all above using food in an effort to reduce the aches and pains one experiences when training. I’ve avoided alcohol. Not that I’m a big drinker mind you, one glass of wine on the weekend is usually my max. Two glasses and I can barely remember my name. There might be a margarita on the occasion we visit our favorite Mexican restaurant, but this past week I have not indulged. I’ve trained like a 47 year old should intelligently train. I know the importance of cross-training. (Especially when injured, which is actually how I spent the first month or so of my training schedule). I continued to lift weights. And I got to bond with the elliptical at the Y. Plus there were plenty of bike rides. I even added yoga to my routine. Yoga is way outside of my comfort zone, so this is a big deal. 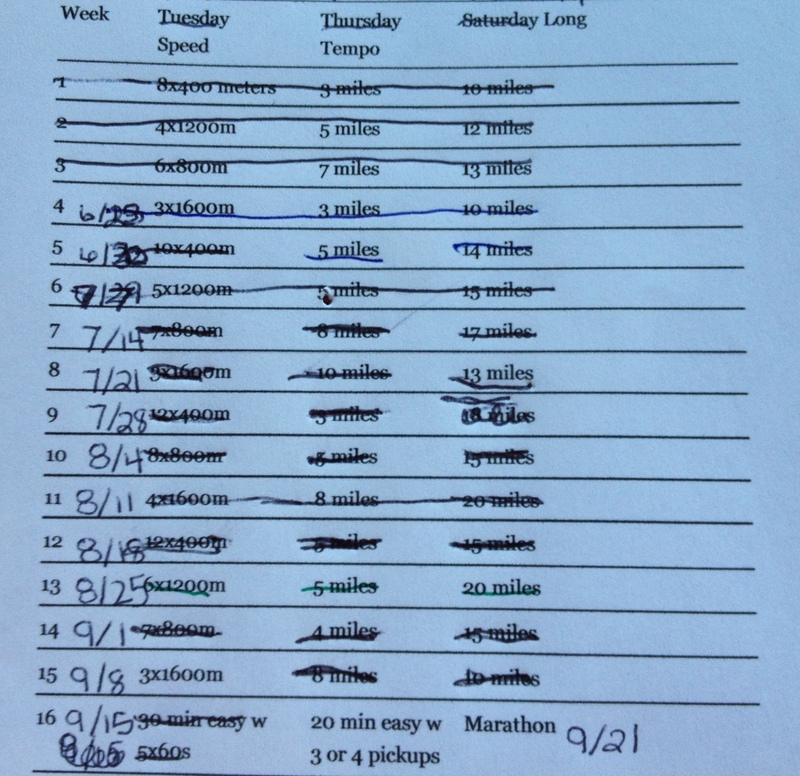 So, it’s not like I didn’t train…I just didn’t run. That being said, I’m feeling a little anxious about the run on Sunday. I’ve run marathons before. This will be #5 for me. At one time (notice I said at one time…not feeling as strongly about it being my last as I write this) I said it would be my last. And I think that is why I’m feeling some anxiety. My last marathon went well. Very well. I’m afraid that this one won’t go quite as well. And I don’t want to end on a bad note. My knee issue that sidelined my training concerns me. I spent weeks visiting my chiropractor with no improvement. In early June I gave in to a cortisone shot . This didn’t magically get rid of the pain like I thought it would. But it did make it tolerable to run. I know that I will feel it about mile 3. And I also know it will fade a bit by mile 8. And then it will return. My concern is that I know I can handle 20, but I need to handle 26.2. I’ve trained well. BUT I feel I trained better last year. My speed workouts moved from the track to the open road thanks to this nifty little present the family surprised me with for my birthday. But speed workouts created more knee pain. And I’m not really a fan of pain, so I backed off a bit from my targeted times. If I can just run, I won’t even care about my time. Alright. Just get me to the finish line. I want my t-shirt.